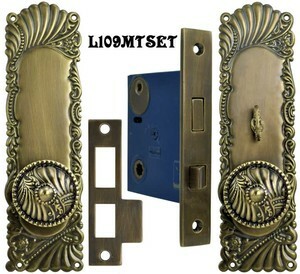 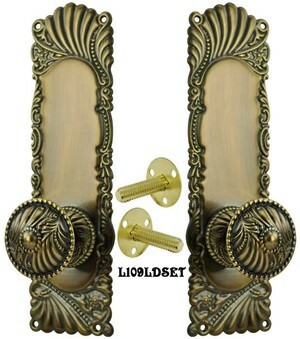 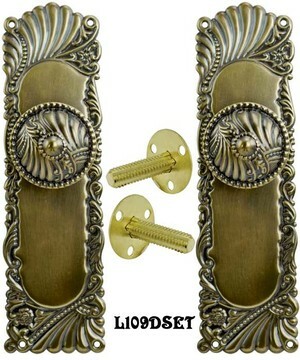 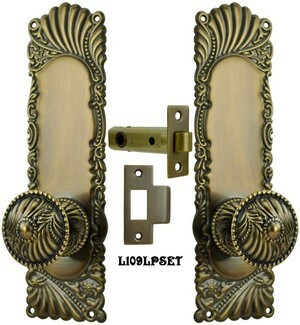 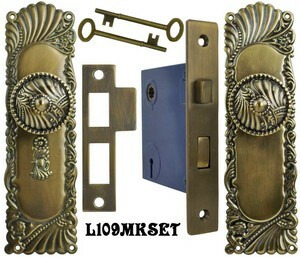 Large Corbin's Roanoke door plate set. 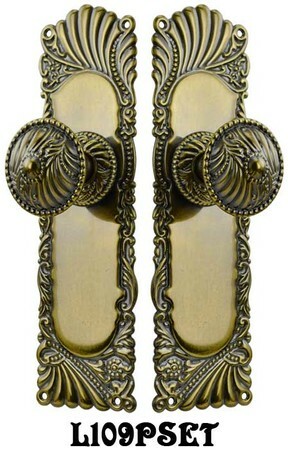 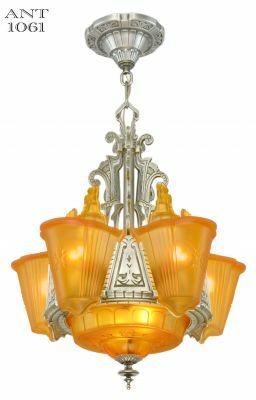 Finely wrought brass, just like Corbin did in the 1900s. 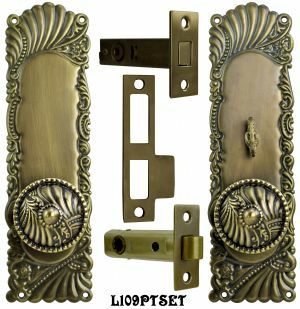 The design is just so precise and attractive, that it takes a bit of study to see all the design elements crowded onto this plate. 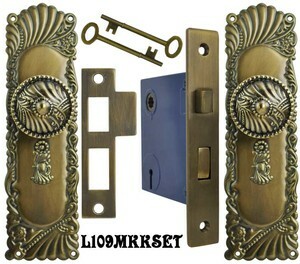 Door Plates: 10" tall x 2 ¾" wide. Doorknobs: 2 ¼" diameter; each projects 2 3⁄8". 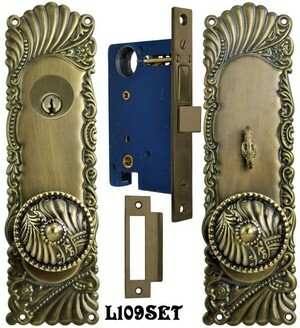 Latch Face: 1" wide x 2 ¼" tall. Installation: Latch can be installed by drilling a 7/8" hole, then recessing the wood for the latch face. 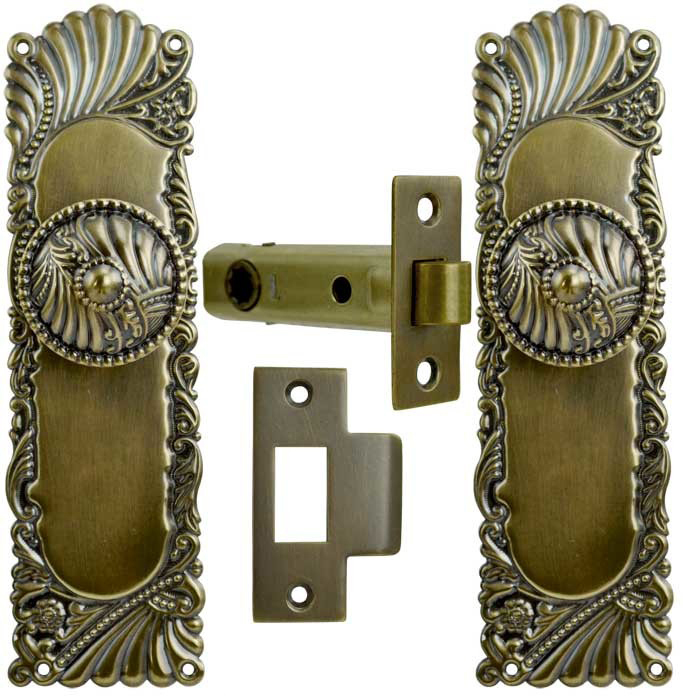 For 2 1⁄8" pre-drilled doors, purchase our Modern Door Fit-Up Kit to stabilize the latch.